Logic Studio School and Insanity Radio met again on the 23rd of January as a follow-up to last year’s successful visit. Members of the station eagerly awaited their arrival on campus, and it was great to see that the students were equally as excited as the station was. 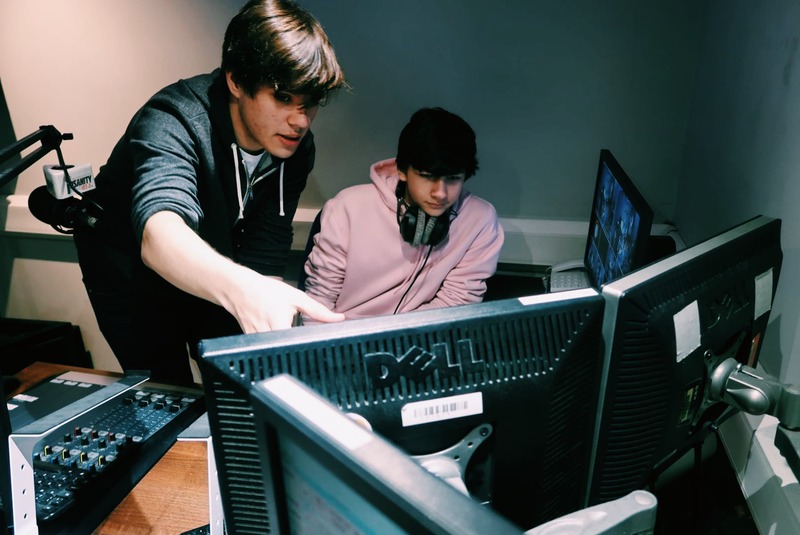 Furthermore, this visit provided the students the added opportunity to experiment with other media outlets, as the station worked together with Orbital Magazine and rhubarbTV. This allowed students to explore their creative interests while also providing a great opportunity for the media outlets to work together. Students embarked on a campus tour before taking turns to plan their hour-long shows, totaling at 3 hours of original content for the local community. Memorable songs, stories, and experiences were shared both on-air and off-air. A student shared how he was striving to be the first person in his family to go to university, and that the collaboration between Insanity and Logic Studio School really motivated him further. Insanity Radio is grateful for everyone who took part on the day, and the station looks forward to maintaining this fruitful relationship with Logic Studio School going forward!